A gang of thieves were rumbled after breaking into an e-cigarette specialists in Falkirk. 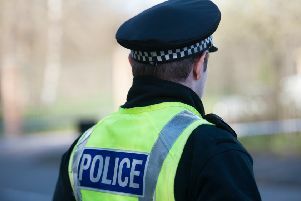 The four men, who were dressed in dark clothing and wearing balaclavas, used a crowbar to force their way into Vapour Monster in Grangemouth Road in the early hours of Saturday, January 12. However, the group fled empty-handed when an alarm sounded at around 2.20am. It’s thought the men left the area in a silver Audi. Sergeant Andy Angus, of Falkirk Police Station, said: “Police responded quickly and found damage to the shutters. The front window was also smashed.